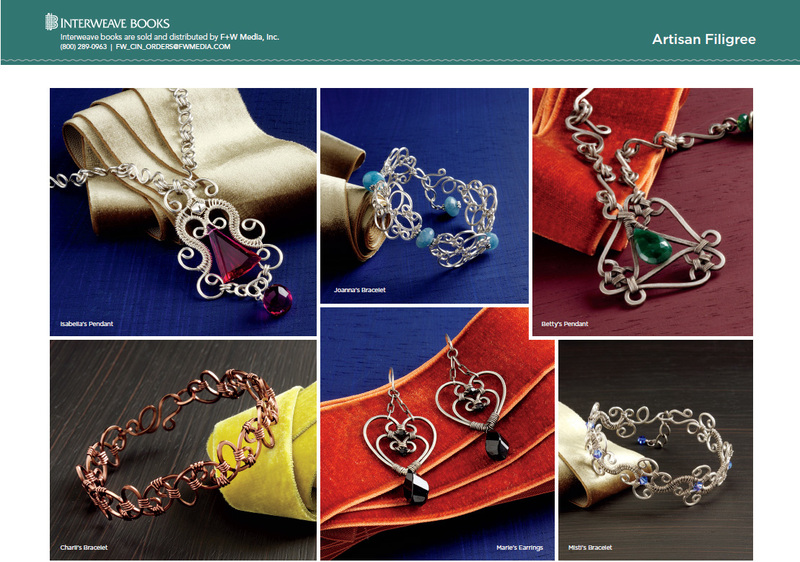 All of Jodi Bombardier's designs in Artisan Filigree can be produced without soldered connections! You might find that hard to believe when you see the beautiful architecturally-inspired designs she shares, but it's true! 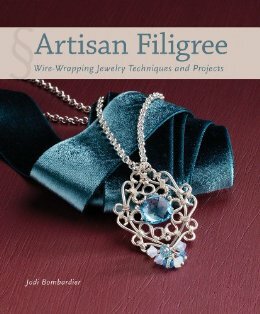 Beginning with just a few relatively simple skills, you will soon be able to finesse heavy wire into shapes that are beautifully woven together with fine wire and jump rings. Skills build upon skills as you make your way through the book. Soon, you'll be making wire projects that you never would have thought possible. All of the designs can be created with inexpensive wire, at least to try them out if you prefer. Jodi covers correct use of tools and materials so that you will be able to consistently make wonderful pieces, quickly graduating to using silver or gold if you want!